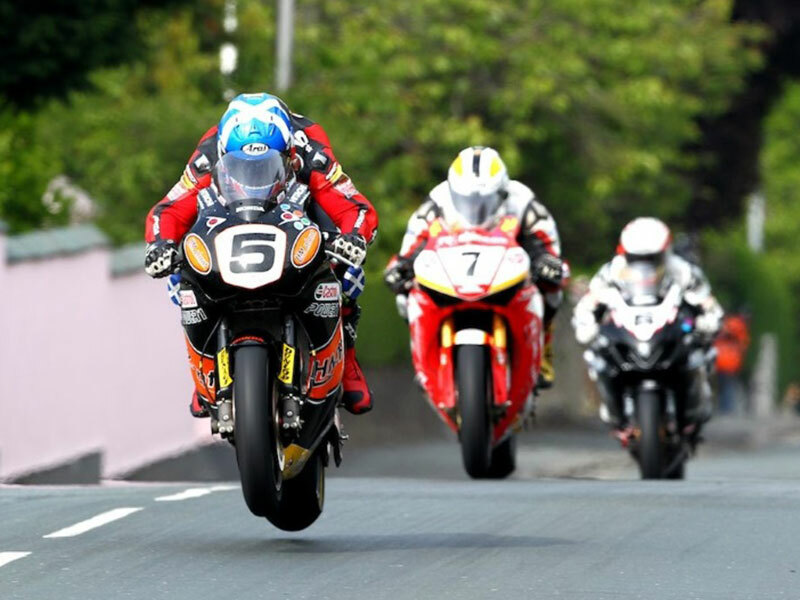 Clients have two tour options for our new Wild Ireland & Isle of Man TT Races tour. 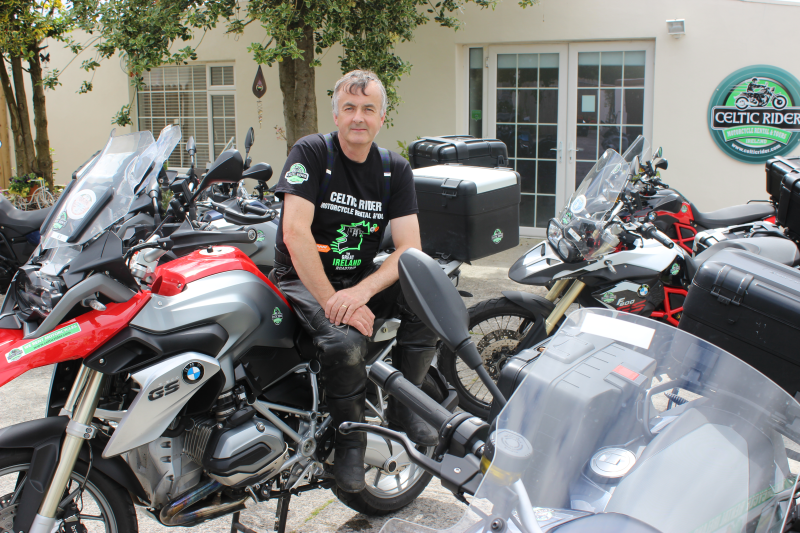 During tour ‘A’, riders will depart our Celtic Rider rental station and make their way up to Belfast, where they will depart for the Isle of Man that evening. Riders will then stay on the island for the duration of what could be one of the most exciting weeks they will ever experience, a full week worth of World class racing on public roads, not a straight stretch of road on this mountainous island, with speeds of up to 200 mph, and steeped in history and tradition. Accommodation will be booked by Celtic Rider, and riders will reside in the main area of Douglas where the starting line for the racing is only a short walk away. Riders will capture the full race schedule, and be fully immersed in the excitement of what the Isle of Man TT Races has to offer. After the racing, riders will return to Belfast by ferry. 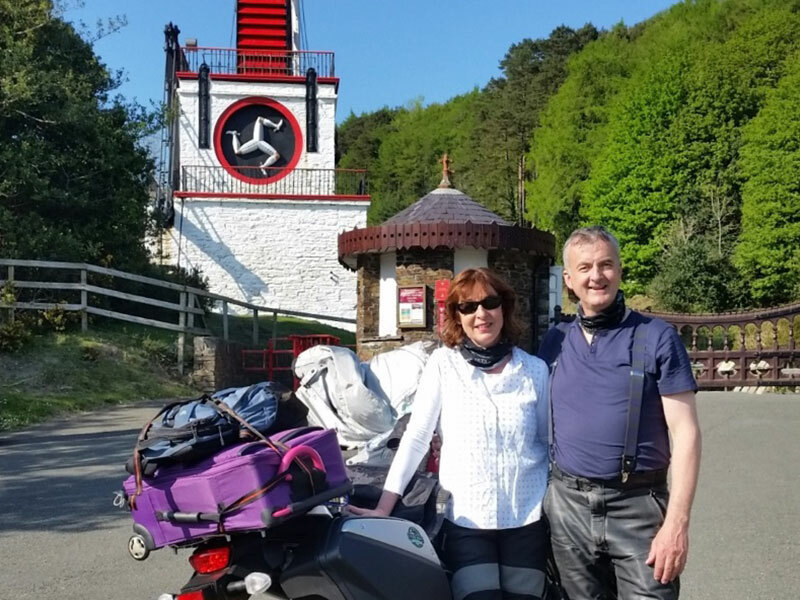 From there you will begin your seven day tour of Ireland, riding along our famous ‘Wild Atlantic Way’ route, absorbing our captivating land and seascapes, our wonderful culture and cuisine. New for 2017 and after much research, Celtic Rider Ireland is proud to announce the launch of our ‘Isle of Man TT Races & Wild Ireland Adventure’ tour. Collection form your hotel/airport, bringing you to our Celtic Rider station. Collect bike(s), then enjoy our safety orientation course, receive your Celtic Rider merchandise. Ride out with one of our Celtic Rider team to accustom you to our roads, signage, roundabouts etc…. Today you will make your way straight to your Belfast accommodation. 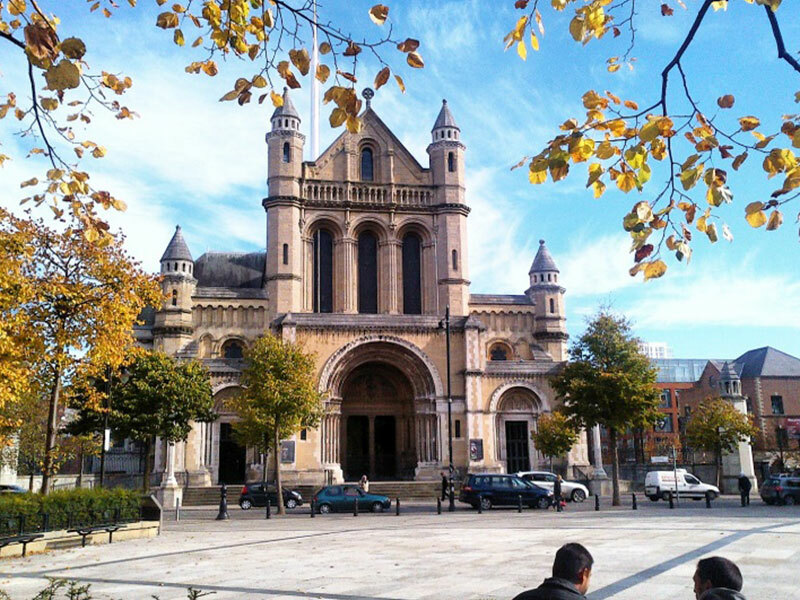 Check out the Cathedral Quarter in the city for food and a social drink. 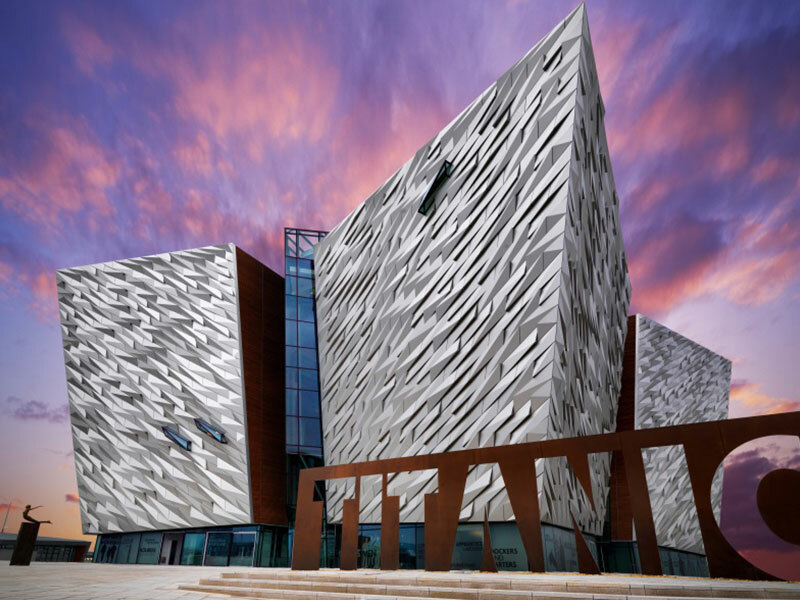 Return early to your hotel, relax and sleep before making your way to Belfast Port, where you will board the very early morning ferry to Douglas. Make your way to your accommodation, enjoy breakfast. First Race is the RST Superbike Race starting at 11am followed by the Sure Sidecar TT Race at 2pm. Make your way to the starting line, called Bray Hill. The bottom of Bray Hill has great viewing points of racers accelerating away over Ago’s Leap. Other spectacular viewing points are outside the pub at Quartersbridge, Union Mills- get there early! The Hawethorn is a very fast part of the course, also Barregarrow hosts a very fast left hand curve but viewing is very limited. From Ballaugh Bridge you’ll see riders speed away after taking the bridge and being momentarily airborne! You can view here from the Raven Hotel or the opposite side of the road (which does have the better viewing point). Also, viewing from the Quarry Bends at the Wildlife Park car park entrance is spectacular. You must also try the Sulby Crossroads, here there is no shortage of atmosphere with the Sulby Glen Hotel being one of the busiest venues. Offering good food and beverages, this area offers you the chance to see some high-speed action as the bikes tear up on the straight! Another spectacular viewing point is the Gooseneck and Guthries. From this area you can take a hike up towards Gutheries Memorial and take in the coastal views of Scotland and the Cumbrian Coast. Back to your accommodation, relax and dinner. Restaurants to try out that are nearby to your accommodation include Artisan, 14North, La Mona Lisa, L’Experience, Portofino, and Little Fish Café. Note that some of these restaurants may have to be reserved, I advise you to choose one and reserve a table for tonight. After a truly exciting and very long first day we recommend that you take in some scenery. We recommend that you buy a transport ticket, this gives you access to the bus, Electric Tram, Steam Train and Horse Tram! Also, a must see while you are in the Isle of Man is the Snaefell Wheel and the Great Laxey Wheel, also known as the Lady Isabella. The Laxey Wheel is over 72 foot in diameter, dating back to 1865. It is the largest working water wheel in existence and definitely worth viewing. If you are getting here by train use the North Electric Train, hop off at Laxey and take the Snaefell Mountain Railway there. This is also shown in Day 5, although I recommend using Day 5 to stay on the train and continue to the end of both lines, North and South. The Isle of Man is rich in ancient heritage sites and burial grounds. 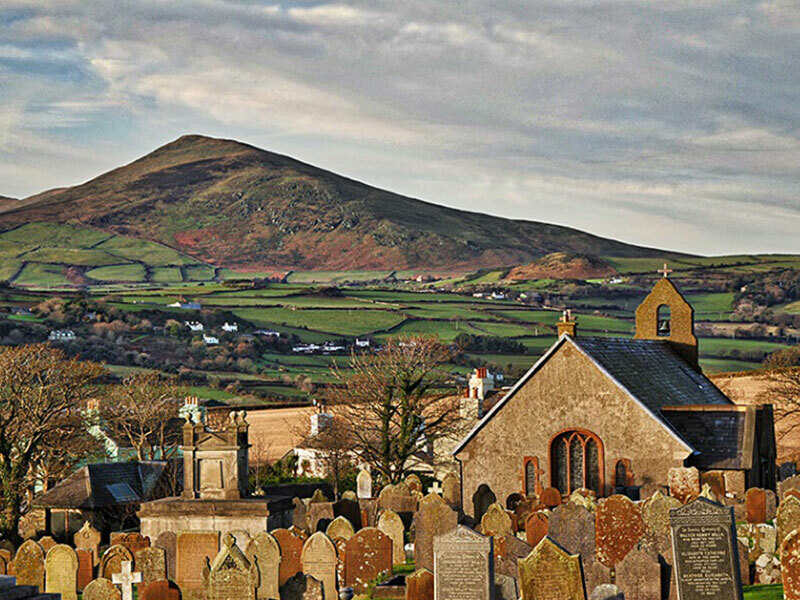 There are 141 listed ancient monuments across the island, the parish of Maughold in the NE of the island produced the largest collection of crosses and slabs in the 6th-13th Century. The Manx Transport Museum is located in Peel, on the East of the island. This is a free entry, must-see for all riders, as all transport memorabilia both past and present is on view in the newly renovated building. Today you’ll witness the Monster Energy Supersport Race starting at 10.45am, followed by the RL 360 Quantum Superstock TT Race at 1.45pm. Again check out some of the great viewing points, and soak in the atmosphere. Planning today you can go South by Steam Train, which leaves from Douglas every two hours from 9.50am and finishes at Port Erin. Along this coastal route you can hop off at Ballasalla and view the ancient monastery of Rushen Abbey. Take a leisurly strool along the river to Silverdale Glen which has a lovely café and boating lake. Further down the line is Castlwtown, where you’ll find four unique heritage sites; Castle Rushen, the Nautical Museum, the Old Grammar School and the Old House of Quays. Here you will find restaurants along with shops and pubs. Coming to the end of the line is Port Erin. Stoll along the harbour, enjoy the café’s, restaurants or take a break on the sandy beach. Of course this route can be taken by bike also. Heading North by Electric Train, this trains sets off quite often. Take the train at the north of Douglas promenade. Taking you to Ramsey, where you will see the impressive boating lake at Mooragh Park. Passing through Groudle Glen, home to the restored Groudle Glen Railway and making your way to Laxey. I recommend you hop off at Laxey and walk the Mines Trail, which includes the Great Laxey Wheel and the Great Laxey Mine Railway. From here you can also visit the Snaefell Wheel (if you have not already visited it). Further up the northern line the tram stops at Dhoon Glen, Glen Mona, Ballaglass and Cornaa; all are worth strolling around and visiting the café’s, beaches and glens. Further on stops include Ballajora, Dreemskerry, Lewaigue and Belle Vue. Each of these stops are convenient for visiting Maughold Church, Maughold Head and the beaches of Port Mooar and Port Lewaigue. When you reach the end of the line you’ll be in Ramsey, a few minutes walk out of town will bring you to two famous attractions. The Grove Museum of Victorian Life and Milntown House. Monster Energy Supersport TT Race at 10.45, followed by the Bennetts Lightweight TT Race at 1.45pm, followed by the SES TT Zero Race at 4.25pm. Again, check out some of the advantage points today, make your way around the 38Mile track and settle yourself in for a great day of racing. 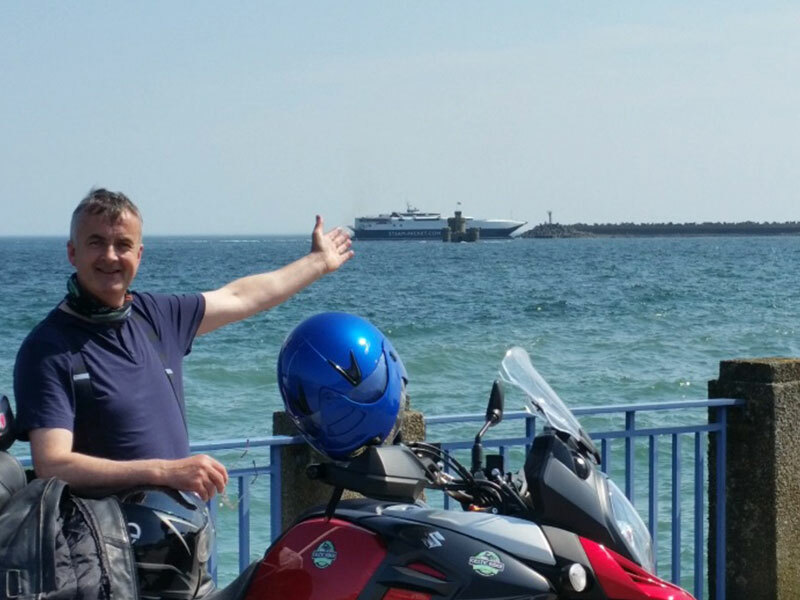 Day 7 – Isle of Man. Option to relax or ride around the island. 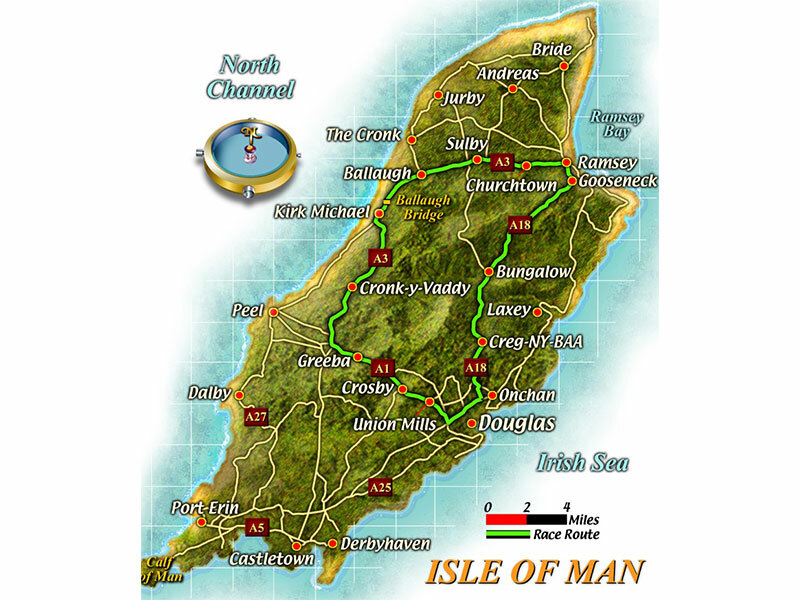 The Isle of Man coastline circles the island for 95 miles. The west coast offers some great wildlife sightseeing opportunities, with boat rides to see basking sharks, seals, whales and dolphins, this is something that I really recommend you do. There are 12 chartered boat companies, email us for information. Another option for those interested in diving. Renowned for its clear waters and underwater wildlife, the Isle of Man is hugely recognized as one of the finest areas for diving in the British Isles. Contact Discover Diving or Mann Scuba Diving. Other water adventures include sea kayaking. Contact 7th Wave or The Adventure Centre. 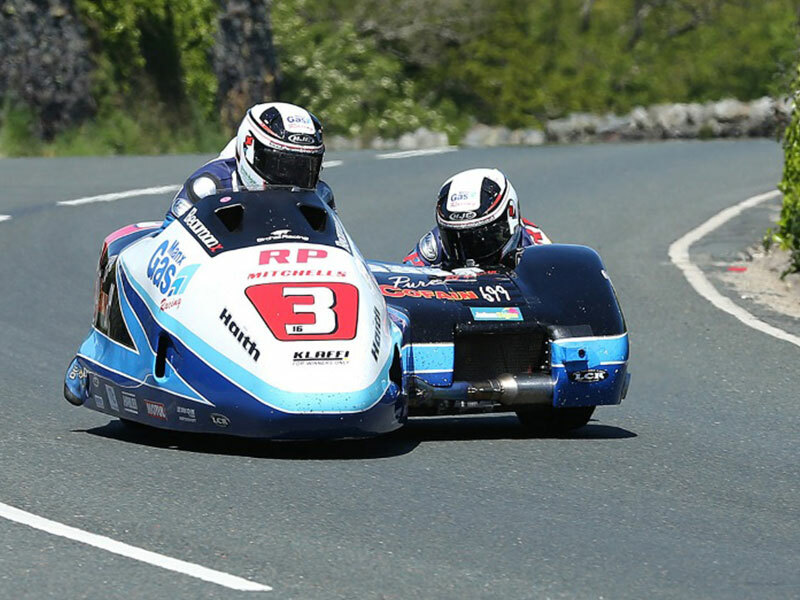 Today is the final race day, the Sure Sidecar TT Race starts at 10.15am, followed by the PolkerStars Senior TT Race at 12.45pm. Again, make your way around the track, settle yourself in for the final day of World class racing. As today is your last day on the island I recommend that you take in the last of the sightseeing, enjoy lunch on one of the local restaurants and pack for your trip back to Ireland. You can stay in your hotel until late that evening, the ferry will leave Port Douglas and arrive into Belfast late that night. When you get to Belfast make your way to your accommodation. Today marks the beginning of your ‘Wild Ireland’ tour. The first option I recommend is a 90 minute political ‘Black Taxi guided tour. This will bring you around parts of Belfast and leave a lasting impression on you. On the bike now and you can make your way to Torr Head. This is for the adventurous and you’ll be riding on a single track with steep inclines and sharp turns. Great views of Scotland across the Irish sea from here (Rathlin Island and the Mull of Kintyre). Making your way now to Cushendon, you have an optional stop here for Ballintroy Harbour (Game of Thrones), and again at Carrick-a-Rede rope bridge. There is a 10 minute walk to this sea stack and a very narrow foot bridge. Moving on again, another optional visit to the famous Unesco World Heritage site, the Giants Causeway. Quite commercial and you’ll come across coaches and busses, but it is worth the visit. Making your way now along the North Antrim coastline towards Carndonagh. Continue to Carndonagh to your accommodation. Day 11 – Your second day in Carndonagh 100 miles/ 164 kms. Follow the route on your Garmin, first stop is Five Fingers Strand, the largest sand dunes in Europe. Continue north to Bamba’s Point in Malin Head, the most northerly part of Ireland, enjoying amazing sea views. Ride on to Fort Dunree, magnificent military museum towering over and overlooking Lough Swilly. 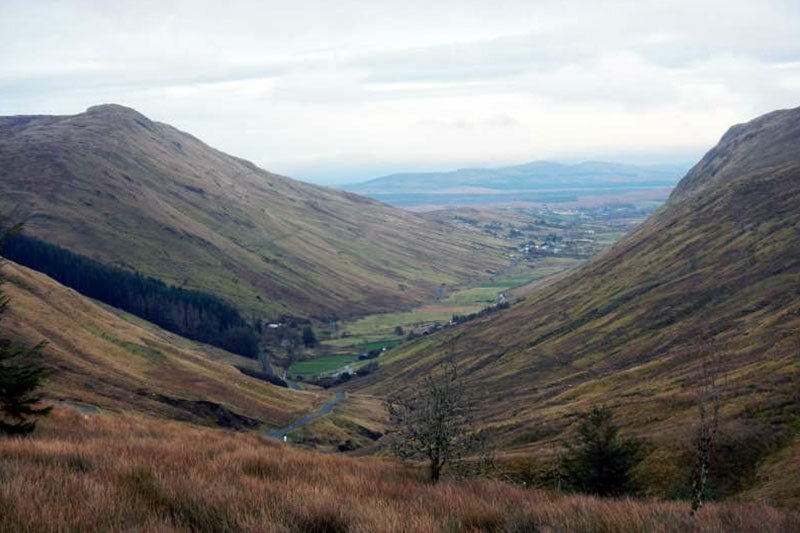 Stopping at Glenevin carpark in Clonmany village, take the short walk along an ancient gorge to view Glenevin Waterfall. Your next must see is Doagh famine village in Doagh Isle, an authentic Irish famine village. See for yourself what life was like in Ireland in the 1800’s. Continue to Carndonagh, back to your accommodation. From Carndonagh, you’ll be on the Inishowen Peninsula and riding across the highest part of Ireland, making your way today towards Donegal. Making your way to Glenveagh National Park, to the visitor center where I suggest you take the guided bus tour along Glenveagh Castle, along Derryveagh Lake. Its a stunning castle and a very interesting guided tour. Continuing on through Glenveagh National Park, notice the towering mountains around you, most noticeable is Mount Errigal, a quartzite mountain. Wild Irish deer and Golden Eagles roam freely around Glenveagh National Park. You will soon come to Donegal, and check into your accommodation for the night. Donegal is a lively town with famous Irish tweed mills and shops. Foxford and Magee Wools being the most known. 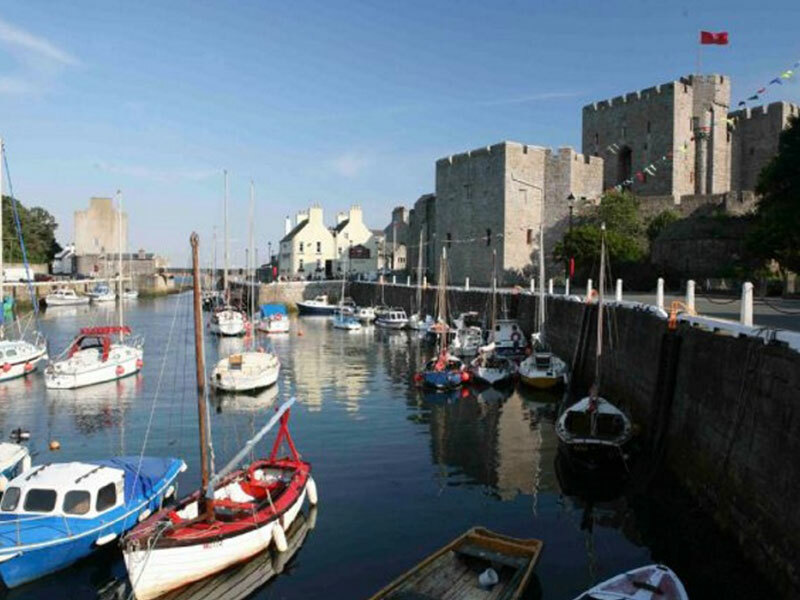 Restaurants worth concidering are ‘The Harbour’ and ‘The Olde Castle’. 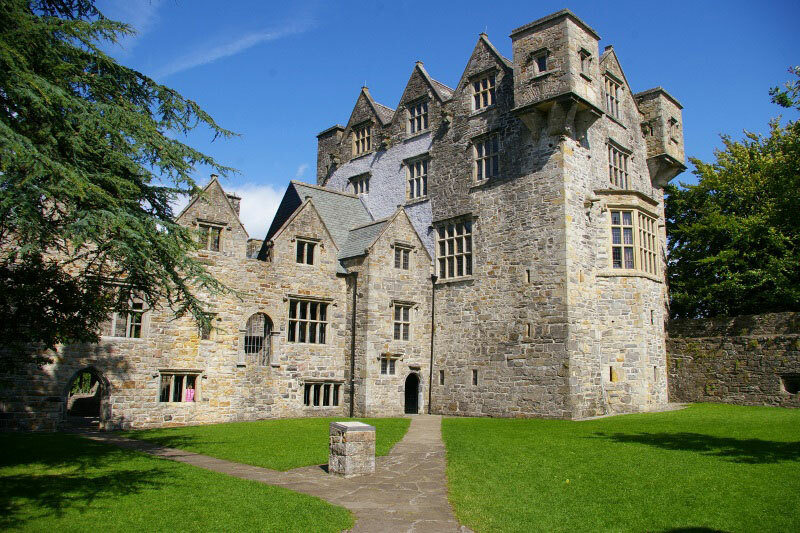 Donegal Castle is also worth a visit. Making your way today from Donegal towards Westport you’ll visit Drumcliff Burial place, resting place of W.B. Yeats. The mighty Benbulbin, a table top mountain dominates the skyline. Passing the Nephin Beg mountains and making your way towards Ballycroy National Park where you can visit the beautifully designed tourist information center. Most information centres in Ireland are run by local people who will be more then willing to inform you of the history and landscapes of this outstanding wilderness of mooreland. Continuing on through Ballycroy national Park, you’ll be making your way to Westport, a wonderful town who won ‘Town of the Year’ several times. Check into your accommodation. Day 14 – Your second day in Westport. 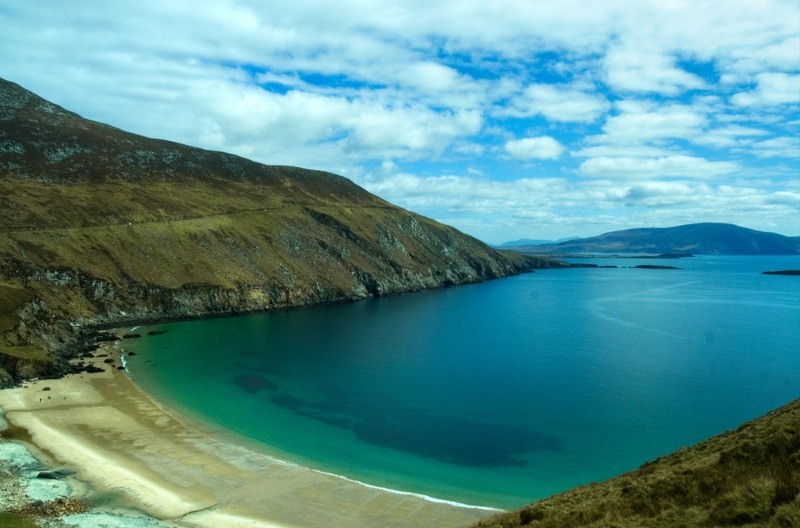 Optional rest day or ride to Achill Island and Keem Beach sightseeing 106miles/170 kms. Today is an optional rest day. You can hire a bicycle and cycle out the Great western Greenway. Alternatively, you can ride out to Achill Island, the largest island off our coast. Leaving Westport heading to Achill Island along Clew Bay, the first stop is Burrishoole Abbey, found in the ‘favourites’ are of your Garmin. Continue along the route to Mallarranny, then onto Achill Sound, and then ride over the bridge onto Achill Island itself. The ride across onto Achill itself is very dramatic, with spectacular views of mountain passes and coastal scenes. Onwards to Keem Beach, a little gem hidden away, ideal for a swim on a warm day. Ride back to Westport and enjoy your second night in Westport town. Todays ride is fantastic. 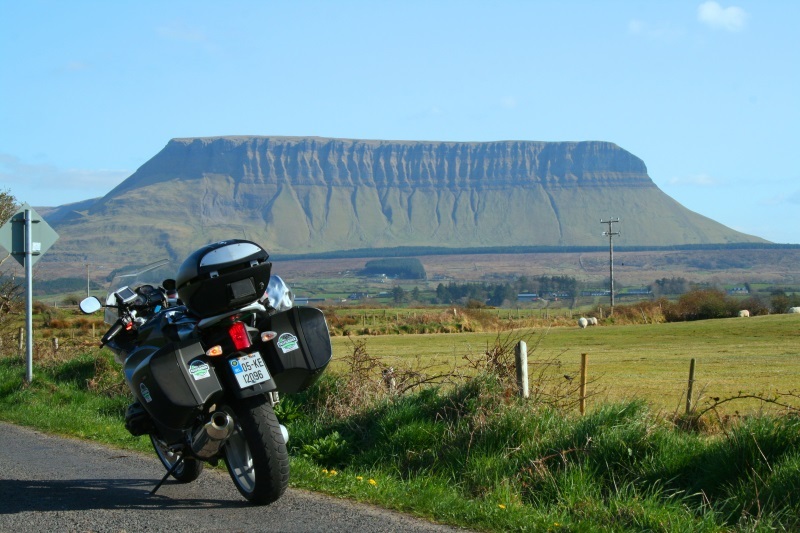 You’ll take in two national parks and ride through the Burren. The Burren National Park is covered in millions of boulders from the Ice-Age, beautiful wild orchids grow profusely amongst fissures in the rock, and the Atlantic Ocean is just a short 400 metre walk. 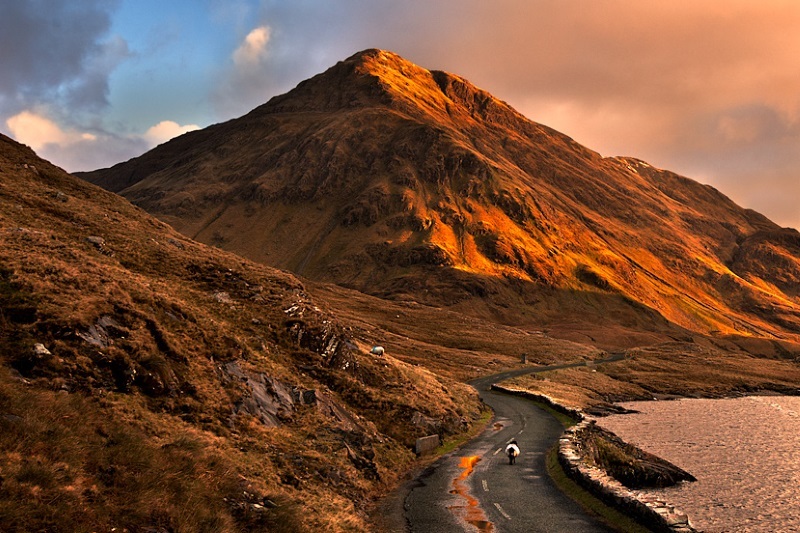 Firstly you’ll ride across the stunning Doo Lough Mountain Pass, then onwards towards Killary Harbour, Lennane, Ireland deepest fjord. Next must-see attraction is Kylemore Bennedictine Abbey, set amongst a stunning backdrop, beautiful gardens and has a good restaurant. Next up is the scenic ‘Sky Road’, aptly named and surrounded with beautiful sea views. Onwards to Clifden town, great for fish and chips if you have not already had lunch. Continue on towards the magical Connemara National Park, a hauntingly beautiful landscape, a wilderness of moorland and brooding mountains. Skirting around Galway City, you’ll enter the Burren National Park, I recommend making your way to Murrooghtoohy. Unique in the world, I advise that you park up and walk this limestone beach to the ocean. From here Doolin is close by where you will settle in for the evening, alternatively I really recommend that you can ride a further 9 km south to the Cliffs of Mohair, now the Eight Wonder of the World. Departing Doolin you’ll be going back on yourself up the coast-road, towards Blackhead, Murrooghtoohy and then following your Garmin to ‘Last Fuel Stop Celtic Rider’, and arriving in Celtic Rider rental station. Unpack, enjoy some light refreshments and one of our Celtic Rider team will drop you to your accommodation. Hire of premium guaranteed waterproof KLIM riding gear is €20 per day. If you would prefer to stay in a blend of B&B Guest Houses and/or 5 star Hotel accommodation, contact Celtic Rider for custom pricing.